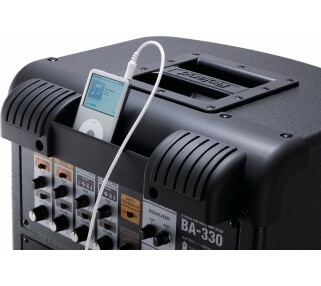 Portable sound does not get any easier or more reliable than this unit. Perfect for smaller outdoor wedding ceremonies or other events. The speaker itself is driven by only 8 AA batteries, which deliver surprisingly loud and broad sound coverage for up to 80 people. Add a second speaker for larger groups. The speaker takes a variety of microphone, instrument and axillary sound inputs. 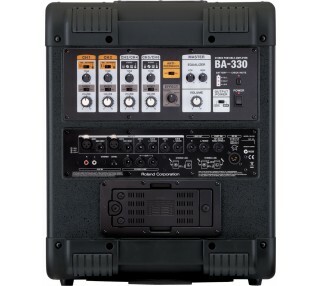 It can accommodate 2 microphones an iPod or computer and up to two instruments! 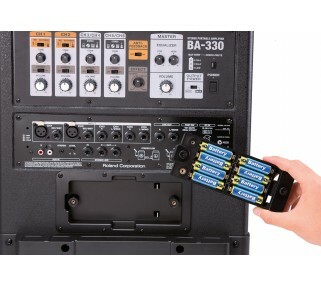 Each input has separate volume control and the microphone inputs also offers reverb and tone control for professional sounding vocal performances. 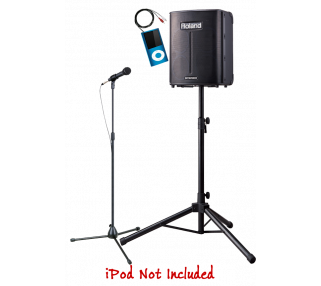 The package includes a professional Shure SM58 wired microphone and cable, a mic stand, and an iPod input cable for your convenience. No worries about running out of battery life either with this unit. The battery indicator light will let you know how much juice is left. The speaker is rated for 8 hours run time with standard power usage on 8 AA batteries. 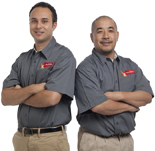 Just in case however, the batteries are easily changeable, so you have nothing to worry about.